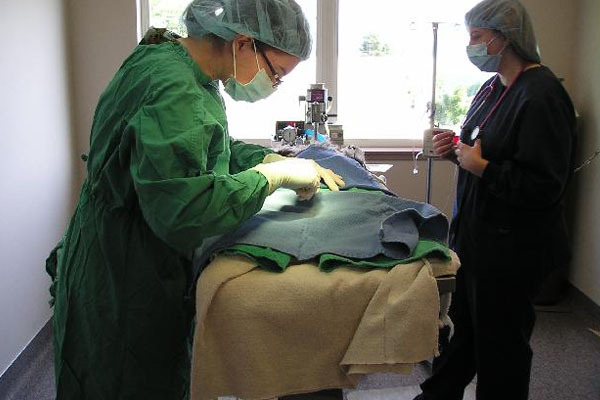 Dr. Kathryn Vance is co-owner of Summit, and she earned her DVM degree from Washington State University in 2011. Her areas of interest include wellness and preventative care, internal medicine, dermatology, and ophthalmology. She and her husband Tyler and her son Henry, they live in Vancouver, Washington with their two dogs; Guinness and Juniper. In her spare time, Dr. Vance enjoys reading, cooking, camping, spending time with her family, and exploring the Columbia River Gorge. Dr. Tyler Vance is the other co-owner of Summit with his wife, Dr. Kathryn Vance. He received a bachelor of science in Animal Science in 2007 and his doctorate in 2011 from Washington State University. It was there that he met, and later married, Dr. Kathryn Vance. He enjoys camping and fishing with family near his hometown of White Salmon, Washington. Dr. Jeff Frey is the previous owner of Summit Animal Hospital and has been a practicing veterinarian for over thirty years and since 2012 in this location. His wife, Barb, is a nurse, and they have three grown children. Their oldest son, Daniel, is proudly serving as a United States Marine. 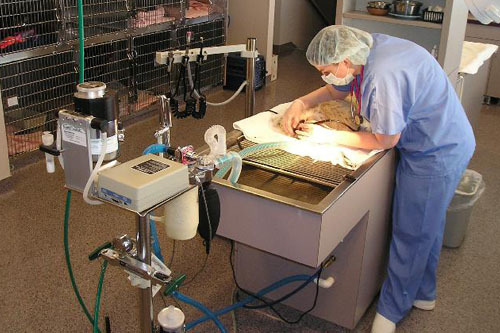 Jessica has been working in the veterinary industry for 11 years. She joined Summit Animal Hospital in February of 2018. She is very excited to be a part of the team. Jessica has two beloved dogs: Sid, a Pitbull mix, who greets her with a smile every time she comes home; and a brindle Boston Terrier mix named Abby. Outside of work she enjoys spending time with her family, camping, boating, doing crafts and going to concerts. Dianne started at Summit as a veterinary assistant in 2006. She has owned many pets over the years, although her favorite will always be her service dog, Lucky. Dianne is heavily involved in charity, to which she devotes much of her free time. In the rest of her time away from the clinic, she enjoys gardening, sewing, crafting, and spending time with family and friends. Trisha came to Summit as a veterinary assistant in 2012. 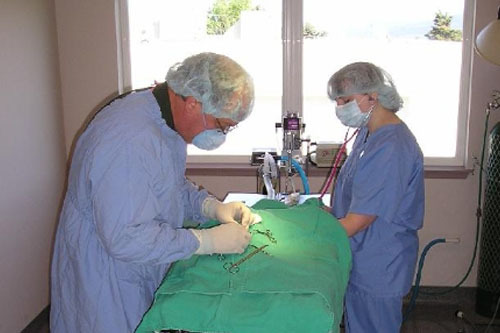 Originally from the Bay Area in California, she has worked in the veterinary field for over eleven years. She lives with her husband, Shawn, and six children, and they always remain busy with their family and friends. She is involved with Doerenbecher Children's Hospital with Make A Wish Foundation. Their furry family members include two rescue dogs and a cat. In her spare time, Trisha enjoys the beach, photography, and spending time with her husband and kids. Megan joined Summit as a receptionist in November 2006. She and her husband and three kids have raised over fifteen puppies for Guide Dogs for the Blind. She loves outdoor activities and spending time with family and friends. She has one dog and a cat. Kathie started at Summit as a veterinary assistant/receptionist in 2015. In her spare time she enjoys horseback riding and is involved with Mounted Orienteering. Mounted Orienteering is a scavenger hunt on horseback.